Home > SWAROVSKI CRYSTAL > CRYSTAL MYRIAD MASTERPIECES > (SOLD OUT) Swarovski Crystal Myriad Longwang LTD. ED. Celebrating the Year of the Dragon 2012, this breathtaking Numbered Limited Edition presents the Chinese dragon, a symbol of power, wisdom and luck. Longwang, meaning king of the dragons, glitters in rich golden and red tones with 66’219 hand-set crystals in the Pointiage® technique. Sparkling in shades of blue, the polished crystal base represents the dragon’s habitat, the sea. Limited to 888 pieces, this unique masterpiece is only crafted on demand and comes with a certificate of authentication. 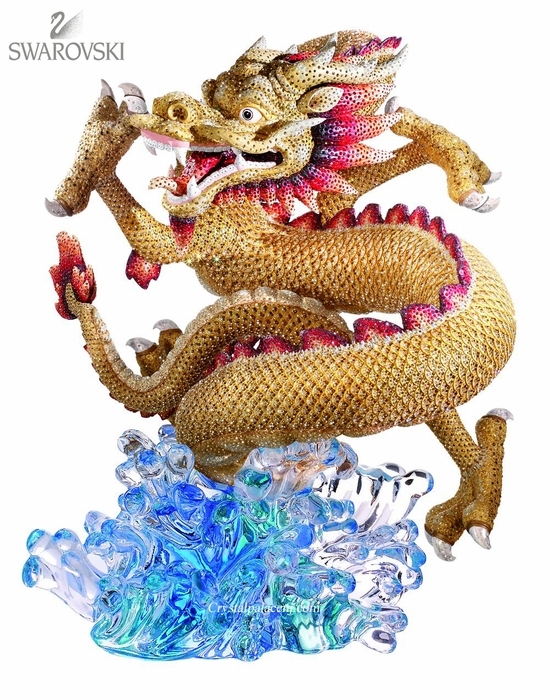 Swarovski Longwang "King of the Dragons"